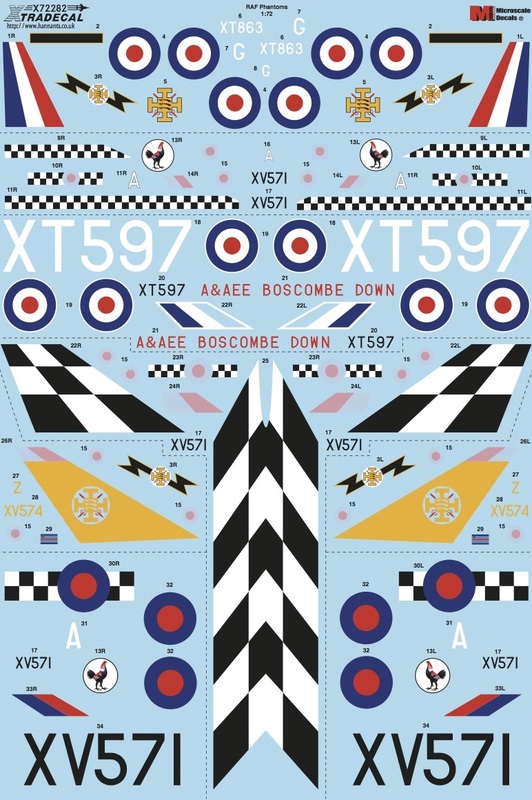 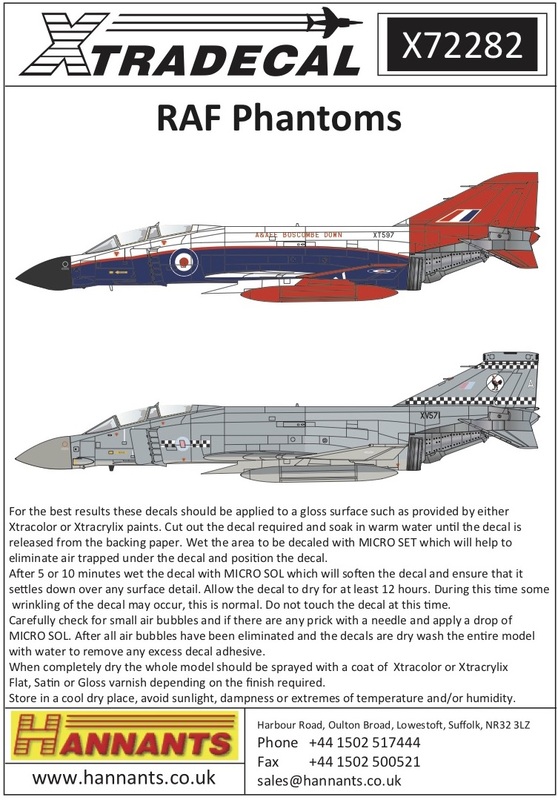 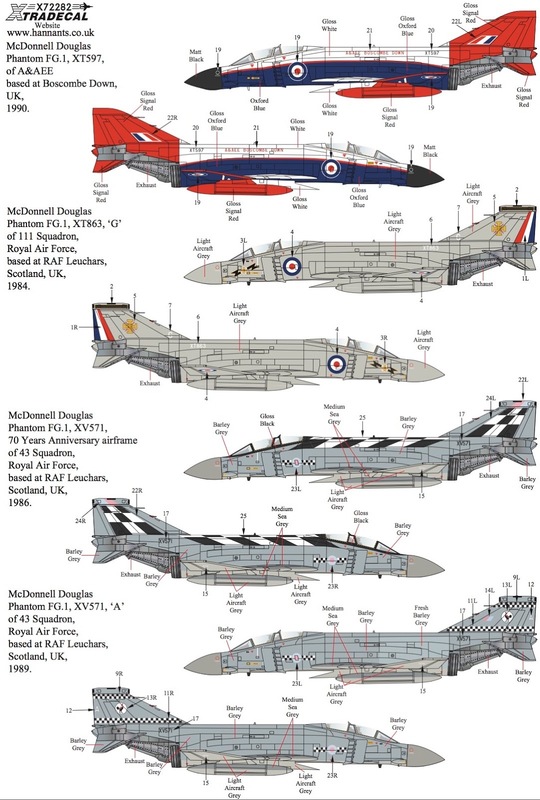 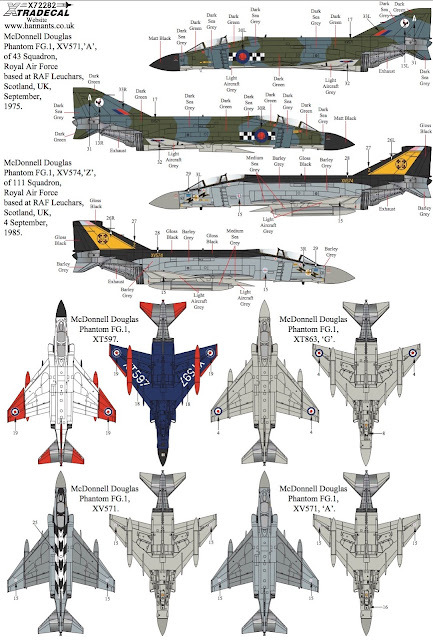 Gentleman - target for tonight is the new, upcoming →Airfix← ↦release.↤..
McDonnell-Douglas Phantom FG.1 in RAF service (6) The FG.1s were only used by 43 and 111 Squadrons. XV571 was always with 43 Sqn coded A and used as the CO's aircraft. 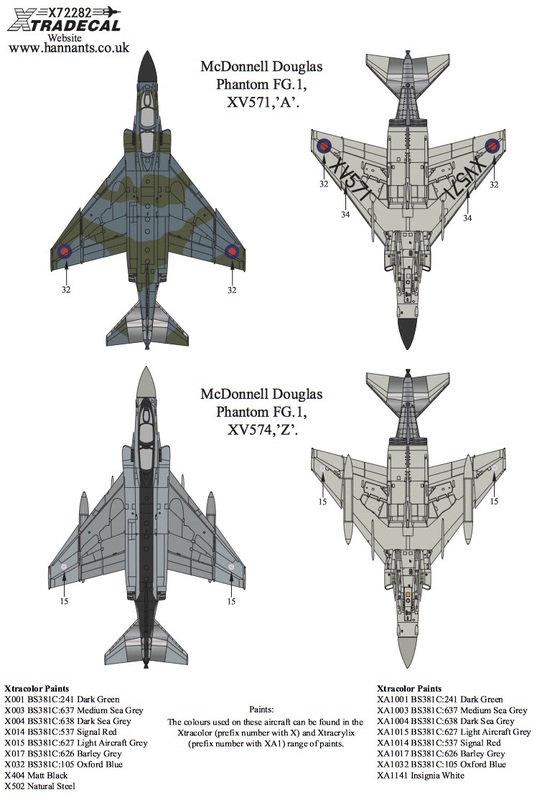 XT863/G 111 Sqn Grey camo with red/white/blue rudder stripes and large D type roundels RAF Leuchars, at Greenham Common IAT 1983.